How Theory Matters: Benjamin, Foucault, and Quantified Self—Oh My! 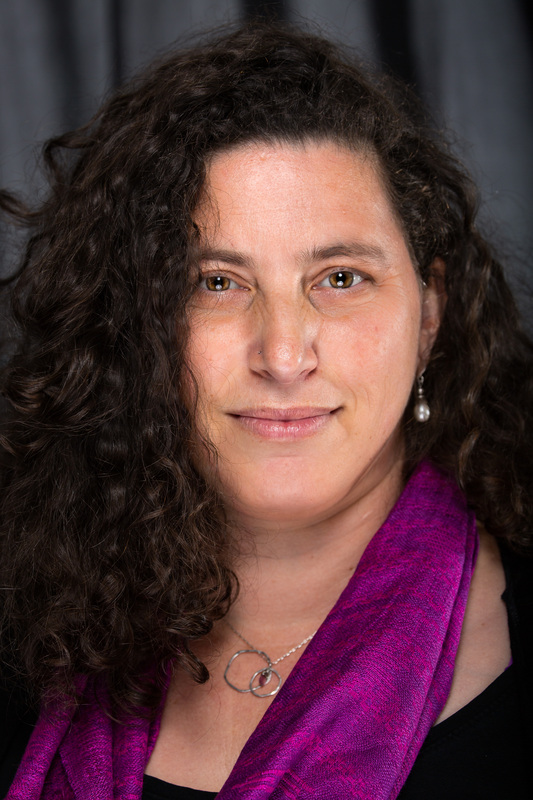 For many anthropologists and ethnographers—and particularly those of us based in the US, where the self and its adherent freedoms and choices have long been a core cultural construct—the self is frequently at the center of our studies. Indeed we are often in a privileged position from which to critique and dismantle notions of self that are too easy, too pat, too unified. But increasing penetration of data into the domain of the “personal” and to the management and care of the self suggest that something is afoot in how the self is understood, experienced, and practiced more broadly. As an anthropologist working for a technology company, understanding this shift becomes important as we design for a world in which data plays new roles and gains different valences than it once had. While the future remains an open question, social science theory helps ground present uncertainties in historical trajectories and suggests key directions for research and design that intersect these changes. Just over 2 years ago, I attended a breakout session at the 2012 International Quantified Self conference in Amsterdam. The topic of conversation was the relationship between self and data, and the debate was lively. Some said that data is a reflection of self, while others contended that if it was a reflection, it was a murky, soupy sort of reflection; still others argued that it isn’t a reflection at all, but rather a river, constantly evolving and in motion. Someone suggested that data disassembles the self into fragments captured through data that we then reassemble. Yet another countered that the self is not singular in the first place, but rather multiple and various: you are your data, but your data is just one of the many you. The inconclusiveness of the discussion was significant. Even as data and the notion of a “quantified self” seem suddenly everywhere the implications of that ubiquity remain unclear. How is this new age of data different (if at all) from data as it used to be? If data is increasingly “everywhere,” how does that change the ways that data affects our everyday lives and experiences – how and who we think “we” are or should be? In some ways, Quantified Self movement was established by Gary Wolf and Kevin Kelly in 2007 to pose precisely these questions in relationship to oneself: what does this new regime of data mean for “me”? In the meantime, while the Quantified Self the movement (QS) remains a somewhat rarified universe, albeit an expanding one, quantified self as a catchall for devices and apps that encourage us to track anything and everything have gone mainstream, dominating the past two CES shows (see here, and here), with write ups in mainstream media like the NYTimes and NPR increasingly common. 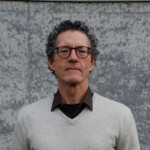 I find in the quantified self, both continuity with the kinds of internalized surveillance captured by Michel Foucault in his analysis of governance in the 18th and 19th centuries, and the kind of disruption that Walter Benjamin ascribes to the acceleration of images and film in Europe shortly before World War II. More importantly, Foucault becomes a useful lens toward situating the quantified self within a larger context of social, political, and economic structures. Benjamin, meanwhile, is suggestive for understanding how the mechanisms of quantification may work to reshape the self in ways that move beyond the specific projects of self improvement that animate the practice and preoccupy most mass media and industry analyses. Drawing on these theories, then, offers this applied anthropologist an important platform for adding value to the company I work for by pointing toward, and contributing to, longer-term roadmaps. Foucault’s work on governmentality and biopower traces shifts in the relationship between people and institutions of power from a model of punishment to one of discipline. He argues that a sea change occurred in the 18th century as Europe moved from a relatively arm’s-length investment in citizen behavior to a more detailed management of the self and narrower definitions of the norm. With the demands of industrialism for a more reliable workforce and growing scientific understandings of epidemiology, the health habits of individuals came to be seen as matters for public policy. Health and hygiene became more than a question of personal well-being, they came to represent good citizenship: we owe it to others, as well as ourselves, to wash our hands, brush our teeth and, arguably, to vaccinate our children. In this sense, quantified self apps and devices that track our steps, our resting heart rates, our bites, and our vaginal fitness are merely the next logical step along the road that began with Jeremy Bentham’s panopticon, and part of the disciplinary regime in which physical health and fitness are closely linked to what it means to be both a good person and a good member of the community. In this way, quantified self as a phenomenon is not just more of the same old Foucauldian biopolitics of the industrial revolution, but also a departure from it. Yet how are we to understand a change that seems so much an extension of this past, and what are the mechanisms through which it operates? This is where Walter Benjamin comes in. Reading Benjamin’s essay on Art in the Age of Reproduction nearly a century after it was written, parallels between images in the 20th century and data in the 21st are striking. Benjamin argued that the reproduction and distribution of images in photographs and films was an unprecedented acceleration that was altering the nature of art and image, redefining its role in the social fabric. Sitting on a sofa in 2015, it is almost possible to read through Benjamin systematically replacing “photo” and “film” with “data.” Not quite…but almost. For Benjamin, to the extent that photographs and film are always photographs and films of something or someone, they are also always abstractions of the objects and people they represent. A photograph of the Mona Lisa, for example, is an abstraction of the original painting. It captures an aspect of the painting (what it looks like) in ways that detach that image from the specificity of the Mona Lisa in place and time (in the Louvre, right now). The rapid reproduction and distribution of photographic and filmic images mean that amongst the many copies of the Mona Lisa in posters, coasters, and t-shirts, on the walls of offices, living rooms, and institutions, the various copies become interchangeable. Any one copy is more or less comparable to any other. For Benjamin the repercussions of such commensurability impact the nature and meaning of Mona Lisa herself. What that image means becomes variable, available to new contexts and framings. Quantification, like Benjamin’s notion of photography, is by definition an abstraction. 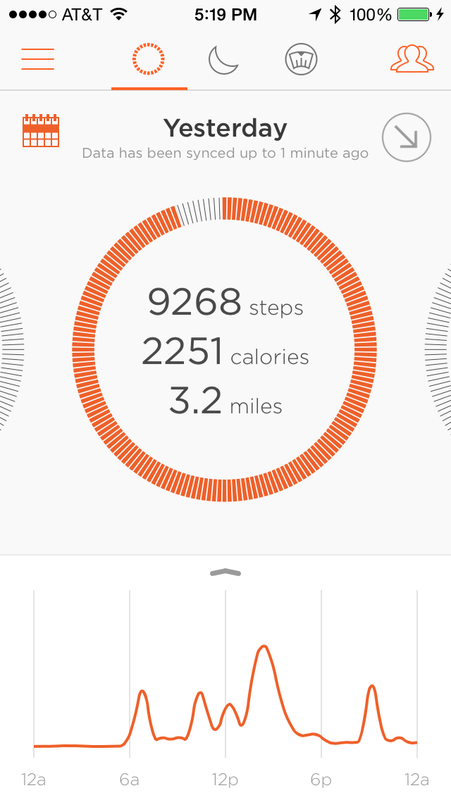 In the case of self-tracking, we abstract (for example) our walks as steps (or fuel points, or active minutes). These steps then become comparable to other steps we may have taken yesterday or the day before, or those taken by our friends, neighbors, and colleagues. Steps and other units of measurement are commensurable in ways that walks, with the thoughts we were thinking, the smells we were smelling, the particular sensations in our backs and feet and so on, are not. Self quantification does for experience what photography and mass distribution channels do for art. Benjamin goes on to suggest that this unhinging of art in place and time likewise detaches art from its origins in religion and ritual and make it available to—and vulnerable to—other cultural systems. For Benjamin, in relation to images, this was politics and the evidence of his prescience is clearly reflected today as the politics of images undeniably play out across our various sized screens and media publications. Reading Benjamin today suggests that the abstraction of experience in data does more than objectify it so that we can avoid the folly of an “unexamined life.” Benjamin’s analysis of images in the 20th century suggests at least the possibility that self quantification unmoors experience from its roots in the place, time, and person. It raises the specter of what happens when experience becomes fungible in the public domain. To the extent that society is already grappling with questions of who owns personal data, data as an abstraction of experience has already become a very different kind of property: no longer a quality adhering to and constitutive of the subject, but a form of capital. Foucault and Benjamin do not answer the question that began this blog and animated discussion at the 2012 Quantified Self Conference. They do not resolve the fragmentation or multiplicity of the self, nor the reflectivity or murkiness of one’s data. They do not tell us exactly how data is changing our lives. But taken together, Foucault and Benjamin suggest that the penetration of data into daily life is part of a larger shift underway, and that changes we can already see in social life, politics, and labor are not unrelated, but rather intimately linked. If the unhinging of experience from the self, its alienation as capital, and the link between data-driven self improvement and new forms of post capital labor sound dystopic, then the good news is that understanding these trajectories also enable us to imagine alternatives. While Benjamin was on to something in relation to images and politics, photography and film were already in Benjamin’s time (and Benjamin would not disagree) rich domains for artistic creation and exploration that have since continued to evolve, challenge, and delight our senses. Working from within the technology industry, the theoretical frameworks of social science, here in the form of Benjamin and Foucault, invite us to imagine what else data could do—what kinds of incorporation and embodiment the capacity of data to abstract and recombine, for example, might enable. While they rarely (okay, never) come up on PowerPoint presentations, theory is in this way a critical tool at work below the water line, enabling the corporate anthropologist to add clear value and have visible impact on the industries we work for. 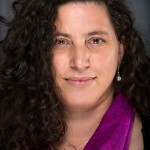 Jamie Sherman is a cultural anthropologist in the Experience, Research, and Incubation Group at Intel Corporation where she works on personal data economies, wearable technology, and embodied interactions. ← What Does the US-Cuba Détente Mean for the Culture Industries and Ethnographic Praxis? Hi Eric, That is a good question, the community of Quantified Self meetup participants, while growing, is quite small at a little over 40,000 members. As you suggest, it is in my experience dominated by folks who also have professional experiences that in various ways link to data and tech, though not necessarily high tech industry workers. However, if by “self monitoring” we mean using technologies to track various aspects of our lives- usually related to self improvement projects of some kind – then the practice is, if not yet widespread, then certainly becoming mainstream. 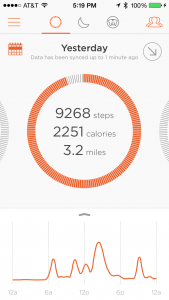 The market success of activity trackers, to name the most obvious, and their increasing presence in mainstream media and press suggest that the logic of self tracking has moved beyond the small tribe of Quantified Self meetup attendees. 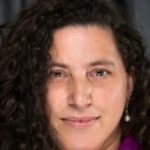 This article from last May suggests the fitness tracker market will hit $2.2 billion (http://mobihealthnews.com/33256/prediction-fitness-tracker-market-to-hit-2-2-billion-this-year/). Jamie – I found this to be a thoughtful and thought-provoking piece. Thanks!